My parents had separated when I was very young. My dad was a marine, my mom was a doctor, and she had realized that she didn’t want to be moving around her whole life. This meant that I only got to see him once or twice a year. And slowly, we became increasingly estranged. When I was sixteen, I found out that he was deciding where to buy a new house for a more permanent and stable job post. I started thinking that he would find something nearer to me. He now had more flexibility, and finally, I could see him more often. We could begin to build a real relationship and make up for the years of missed birthdays, graduations, and other memories. But then, right when I got my hopes up, he didn’t. He stayed where he was—with his new wife and her kids. Even though it seemed like they didn’t appreciate him, and even though I felt that I needed him more than they did. In fact, it’s almost ten years later, and although we’re on better terms now than we’ve ever been, I’m still healing. I had to learn to let him go before I could learn to forgive him. And I had to learn to forgive him before I could build a relationship with him. We’re in the process of building that relationship, and we’re better off now than we’ve ever been. But I’m still accepting that I’ll never get the dad that the little girl in me always wanted. It’s a tough pill to swallow. Knowing that people that you have the most love for are sometimes going to hurt you. Sometimes even those who are supposed to protect you. It’s one of the most difficult lessons you’ll learn in a lifetime, but it’s a part of being human. I hope my experience can help to shed some light on your own relationships with partners, family members, and close friends. Here’s how I learned to let go and forgive. 1. See the human being in the projection. A significant part of what we see in other people, particularly those with whom we have an emotional history, can often be a projection of our own unconscious attitudes toward that person, and not a reflection of how they are behaving. This is difficult to see in ourselves, and tends to be even more pronounced in people we’ve known for a long time, particularly our parents. I learned to forgive my dad by seeing the person in him and not the idea of what I thought a father should be. Doing so wasn’t an easy process, as I had to face shortcomings in both of us. On his side it was constantly making promises he couldn’t keep, out of a fear of losing love and affection from anyone around him. For me, it was the inability to give him a chance to make things right, and see him in a new light, even when it was the most appropriate thing to do for both of us. Fortunately, over time, as I grew as a person, I was able to build a new relationship with him, based on fresh experiences and not sour expectations. 2. Constantly re-assess your expectations. When trying to start afresh with my father, I found myself constantly face to face with my old expectations. Whenever he would act in a certain way, such as making empty promises or failing to be there for me when I need him, it would trigger an old story (and old emotions) I had about how he’d always been this way or how he’d never change. But each time I did so, I was able to reassess my expectations. A cynical way to look at this would be to say that I lowered them. But who’s to say for whatever reason they weren’t too high to begin with? When he began to act in a way that was more congruent with what I had come to expect, we were both happier, and he even began to positively surprise me sometimes when he fulfilled promises I didn’t expect him to. 3. Look at the world from their perspective. The spiritual teacher Ram Dass once said: “If you think you’re enlightened, go spend a week with your family.” It’s a tongue-in-cheek quote, and I’ve tried to apply the idea my situation. I’ve always thought that I’m an empathetic and understanding person. But can I really stand in the shoes of my family members and be completely ok with their actions, particularly those who have hurt me? I tried to think about my dad’s situation, his expectations and disappointments, the influences in his life like constantly being on the move because of his work. And I understood that he wasn’t there for me partly because he was afraid of losing his new family and being alone. At the end of the day, while I couldn’t come to justify his actions, I was able to see the rationale in them, and have empathy for him as a flawed human being, rather than someone who had intentionally done me wrong. 4. Practice acceptance in all areas of life. Sometimes I couldn’t separate the man from the projection, I couldn’t change my expectations, and I couldn’t come to rationalize where I’d been done wrong. At this point, I had to try and accept things the way they are. And at first, I couldn’t. It just felt so inauthentic, I was still so angry and upset. So I decided to start small and practice acceptance as a skill. I accepted little things like traffic on the way to work and rudeness by people in shops. I accepted when I saw something I didn’t like on the news or friend of mine had been a little thoughtless. I even made it a habit to accept things I didn’t like about myself, and finally, I began to be able to accept my father for his mistakes. 5. View relationships as fluid, not solid. This final point was one of the most interesting. I began to view relationships in my life as fluid and not solid. For me, fluid relationships meant that people could enter and leave, their roles could change, as could the way we related to each other. Unfortunately, this is a natural fact of life, and the choice we have is whether or not we resist it. My dad hasn’t been a huge support, nor a good role model, but right now he’s a father and a friend, and someone I love. That may change in the future, for better or worse, but I’m trying my best to be open to the journey. Learning to let go of people you love when they’ve hurt you is one of the most difficult challenges we will face in a lifetime. As you can see from my situation, letting go of someone may be releasing the grip you have on the idea of who they should be. Sometimes you can still maintain a relationship, just not the one you want. And sometimes, that’s exactly what you need. Have you ever had to rebuild a relationship with someone who’s hurt you? Leave a comment below, I would love to hear your stories! Anais Rodriguez is a marketing consultant, cosmetics aficionado, and the social media manager for the mental health and meditation blog Project Monkey Mind. If you’d like to know how you can calm your mind using Modern Psychology and Eastern Spirituality, get the free cheatsheet 7 Psychological Hacks for Depression & Anxiety (in 5 minutes or less). 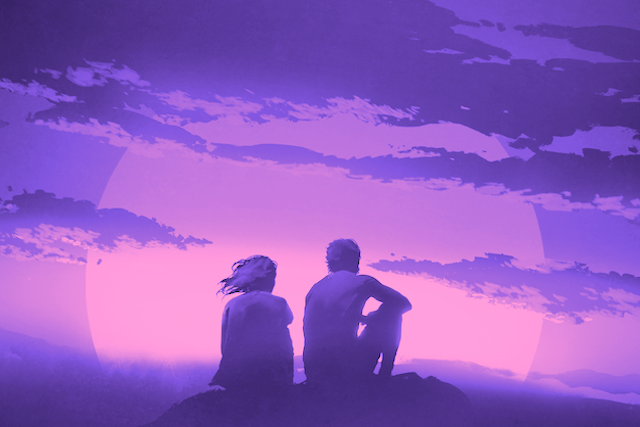 The post How to Rebuild a Relationship with Someone Who’s Hurt You appeared first on Tiny Buddha.